From the moment I wake up, to the moment I close my eyes at the end of the day, my mind is awash with gardening and all its growing temptations. A plump marrow, a firm carrot and a sack of the sweetest sprouts. Hmmmm… sprouts. But while I continue to daydream, there are things on the plot I need to turn my attention to from time to time; whitefly on the brassicas, ant hills amongst the courgettes; and occasionally, I must face fear itself. In the polytunnel yesterday, I was overcome with excitement to see how quickly the aubergines were growing. But then something threw itself at me, blocking my path. ‘None shall pass!’ I heard it growl. Gather closer, fair reader, as what I say next requires but the gentlest of whispers. Anything louder will draw unwanted attention from the dark one.. it was evil itself! I’m not going to lie, I screamed like a girl as I wet myself a little. This wasn’t a spider, it was a face-hugger! 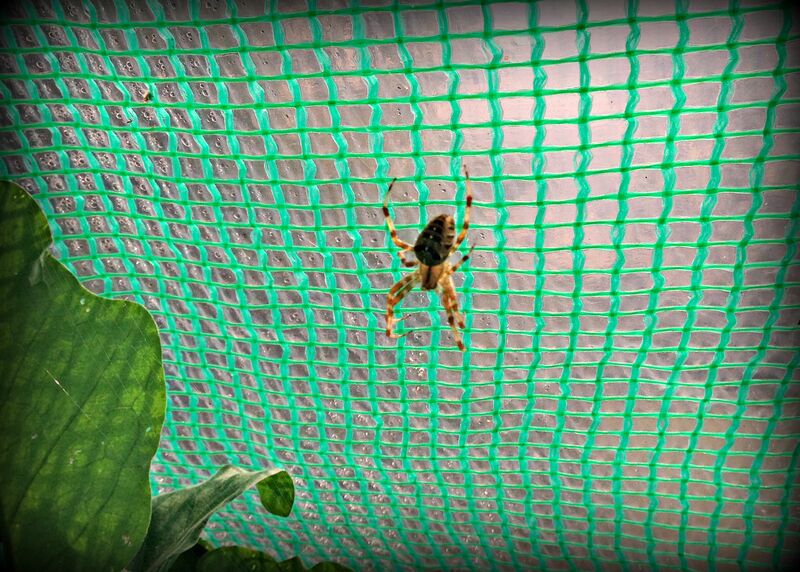 Ridley Scott never mentioned using the common garden spider as part of his Alien franchise. OK, I’m acting the drama queen, but I guess you had to be there. You see, we live in a country where dangerous critters lurking in the shadows, preying on innocent gardeners doesn’t often happen. If something does pounce, it’s normally by accident and it’s quickly followed by an awkward exchange of apologies, ‘sorry, thought you were someone else’, and the animal tipping its hat and quickly retreating back into the shadows apologising for his outlandish behaviour. Stinging or biting just isn’t… British. But the media loves spreading apocalyptic tales of spiders scourging the land, removing limbs, as they drag their victims into the woods. And at the eye of this storm is the UK’s False Widow Spider. Of course spiders bite, even in England. Occasionally, they can puncture skin and people can react to their poison. No doubt global warming has played its part in encouraging foreign bugs to pack their holiday suitcases, hop on the nearest warm current and come to these shores for a carefree summer. Although just how much they are running amok across the English countryside, I’m not sure. But everything has its place, its purpose. And so long as we respect each other, we can actually help each other. Thanks to Conan the Destroyer, my polytunnel is enjoying a pest-free environment and my aubergines are thriving! Which now brings me into my next question. What’s that living under my shed enjoying its solitude? 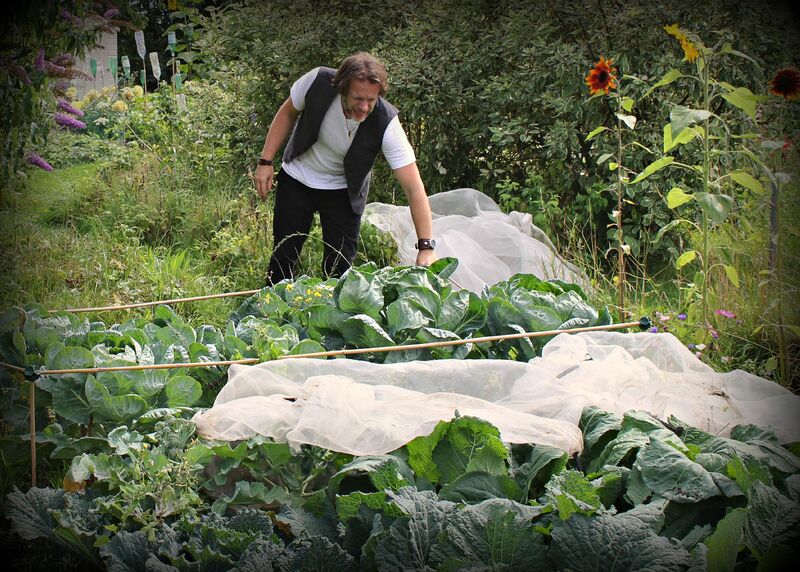 The allotment is looking lush and productive. Congratulations! Enjoy, for there is a nasty rumour that Insects shall Inherit the Earth. Thanks Jenny! With all the vegetable nibbling on the plot, I reckon they’ve already started. 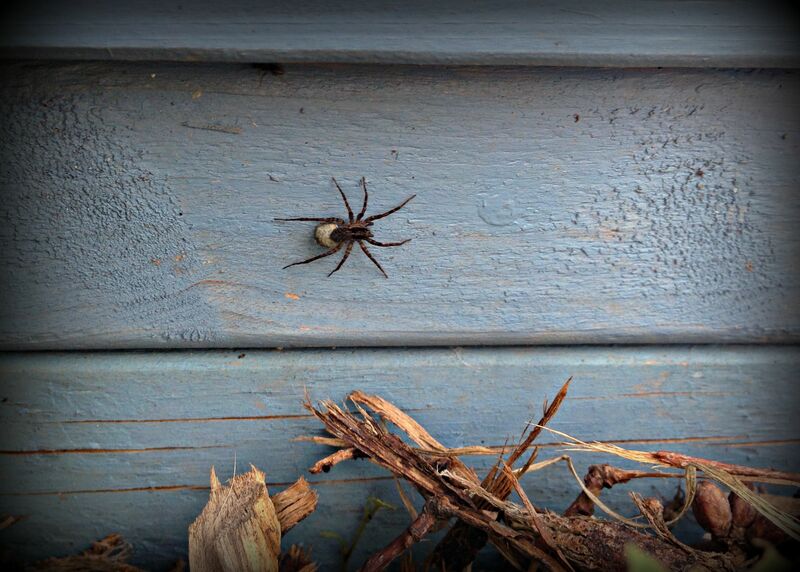 Aghh… It’s august and those weighty spiders link their webs across my garden path. If I forget and rush towards the gate they’ve sometimes ended up in my hair. I try to chant ‘spiders are our friends’ but it doesn’t always help. I think the spiders leave their webs across paths just to have a laugh at our expense. They’re eight-legged practical jokers! I like spiders as long as they don’t take me by surprise. They’re like garden ninjas, pouncing out when you least expect it! They lurk, they lurk. Good thing they are so beneficial. My husband is just like you, and at the little house in the big woods, it is spider central. Not a good combination 😉 Those eggplants—aubergines to you—are beautiful. Thank you, there is something more relaxed when they’re called ‘eggplants’. ‘Aubergine’ is too formal. I had never thought of it that way, but you are right.However, whatever they are called, they are pretty darned good, as my Yankee husband would say. 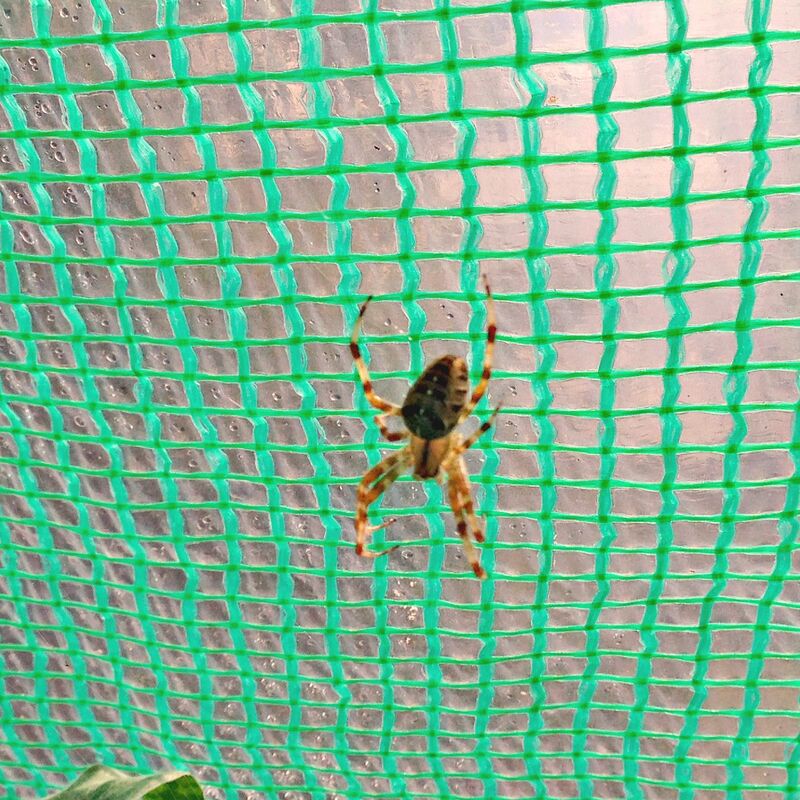 No idea what kind of spider you’ve got. I was once bitten by a spider and had a reaction to the venom (hand swelled up). It was presumably protecting itself when I put my hand over it whilst opening a curtain. Thank you – the bite was some years ago and I’ve fully recovered now 😉.